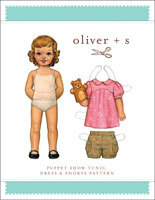 Girl’s bloomers pattern. 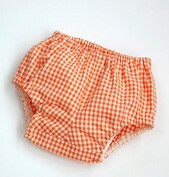 Quick and easy to make, these are the perfect bloomers for wearing under a cute dress while on the playground. 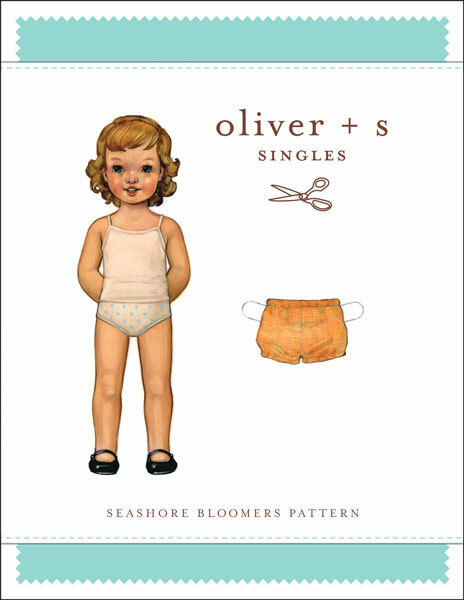 Share your photos on Instagram with the hashtags #seashorebloomers and #oliverands. Light- to medium-weight woven fabrics like quilting cotton, chambray, voile, lawn, shirting, poplin, broadcloth, silk dupioni, and linen. Coordinating thread, 1 yard of 1/4" elastic, 1 yard of 1/2" elastic. I had been searching for a bloomer pattern to compliment the baby "ice cream" dress I made for my new granddaughter. This was perfect! Made my first bloomers ever. The instructions were super easy to follow. I've made the Seashore bloomers to go with the Butterfly Blouse and the Ice Cream Top in the infant sizes since I think there is that window when crawling baby girls don't do well with skirts or dresses. These sew up so quick with excellent instructions. I think they would be lovely in nice fabric with a shirt for summer too! Who else has made bloomers from a vintage pattern and found them skimpy things that barely cover the 'back bottom'? Not these ones. Such a nice fit with a nice high back. I found I needed to size up for a cloth nappy but I use 'fold your own' so they can be quite bulky. 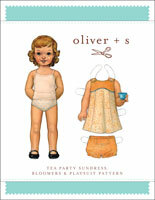 I will be making lots of these for my baby to wear with a little tee, what a great summer outfit. For a baby girl or boy. For older girls, they a a great way to get a bit longer out of that dress that is a wee bit short. 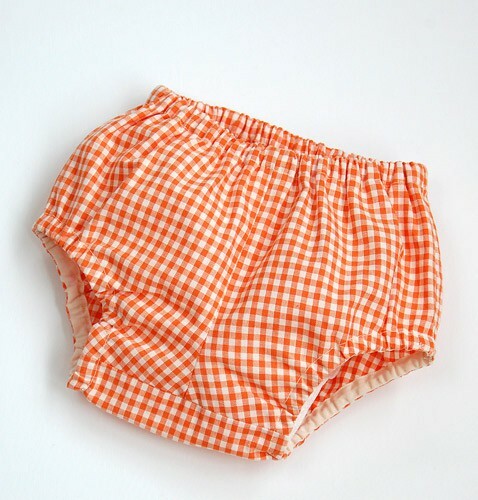 Plus, little girls knickers never seem to fit properly and these will stop any accidental 'peek-a-boo's'. 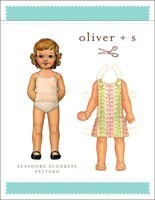 By the way, Oliver+S make the BEST PDF patterns. True dinks! 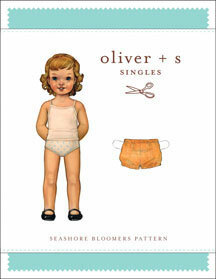 Find and share more photos on Instagram using the hashtags #seashorebloomers and #oliverands.